211 p., 12,1 x 16,9 cm. 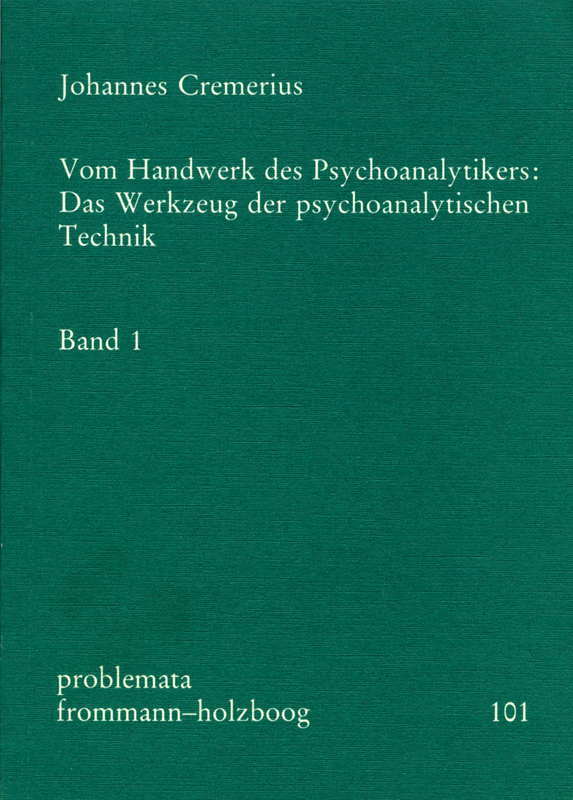 The two volumes describe the daily work of the psychoanalyst with his patients and report the various technical problems posed with regard to the method of treatment. They are not intended to be textbooks but simply a collection of practical experiences. The attempt is made to depict a mode of operation that is both situation and patient centred. The attention will first of all be directed to problems of interaction, the dynamics of transference and countertransference, i.e. the »two-person-psychology« (Balint). From this point of view certain Freudian terms, originating from his objective-objectifying standpoint beed to be redefined. The terme to be examined are those of transference, countertransference and the attitude of being like a mirror, a surgeon, neutrl or abstinent. In my opinion the standard methods deduced from Freuds writings need to be revised. I consider them a theoretical construction, an ideal treatment under ideal conditions. Apart from merely practical »instructions« dealing with the diffucult problems of technique, these volumes include critical thoughts about technical problems such as »working through«, the relationship between phantasy and defence; and the question for the concept of reality in psychoanalysis during the process of biographical reconstruction.